J.Garcia Icazbalceta # 77, Colonia San Rafael 06470 Mexico, D.F. 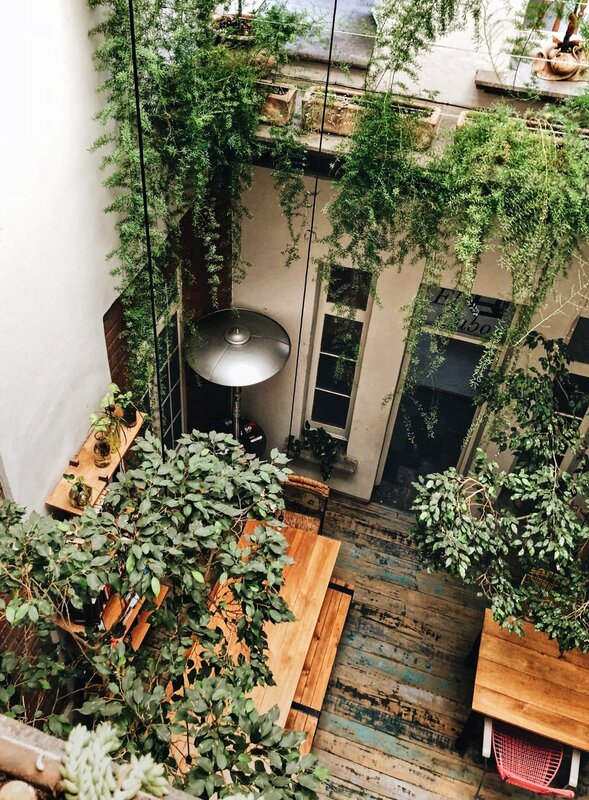 El patio 77 is Mexico City’s first eco-friendly bed & breakfast, and a space where history, sustainability, art and hospitality come together. Each of the eight rooms is named after one of Mexico's states and its decor reflects either the artistic traditions of its namesake or something unique about that state. All the crafts in the house are for sale and come from small villages and producers from all the corners of the country. Tucked away from the hustle and bustle of Mexico City, El Patio 77 is like an oasis of calm, and the perfect place to go back to after a day of exploring.